Yarn Nook: Vintage Pins you will adore! 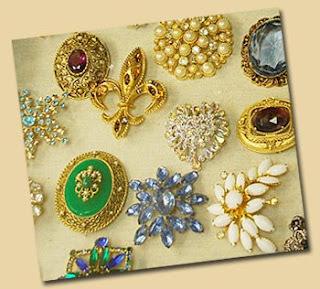 Vintage Pins you will adore! At Yarn Nook, Kim is always looking for great yarn and other items that will pique our interest, and she and Kitty have outdone themselves this time! Kim and Kitty have worked hard searching high and low for vintage pins which they have beautifully and lovingly restored to their original glory! Shop now for terrific vintage pins to go with your hand-stitched items and to include with your special knitted or crocheted Christmas gifts.